Please email us if you are interested in the comprehensive report. Un-electrified households are households which do not rely on grid as the main source of electricity. These un-electrified households rely majorly on kerosene and various other oils for lighting. 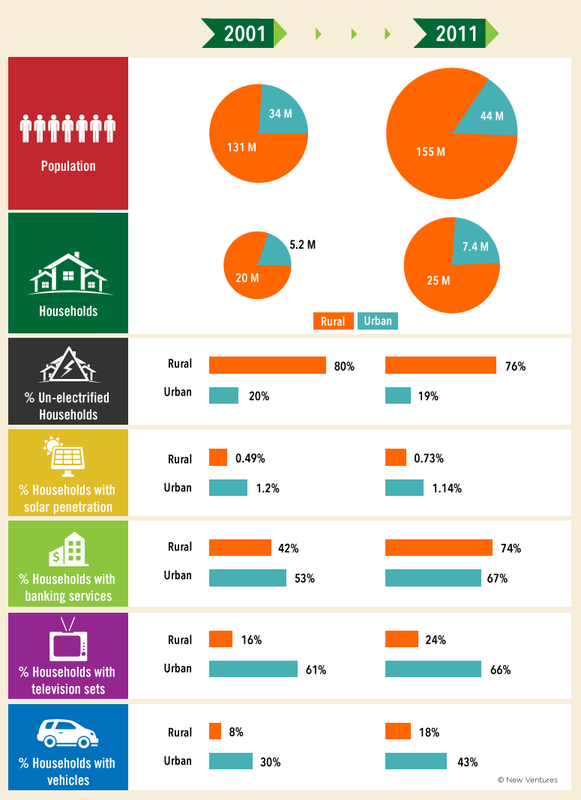 Banking access data shows the number of rural households with a bank account. The increase in asset ownership is an indication of economic growth. The proxy assets for economic growth are television and motorized vehicles. The decrease in un-electrification (% of un-electrified rural households) is an indication of the utility grid expansion in the state. New Ventures promotes clean technology innovation in Asia and Africa to serve the needs of the current and future generations in a sustainable manner.